In the case of sugarcane, a member of the the grass family (Poaceae) which includes wheat, maize and rice, sucrose provides energy for its leaves and is an easily transportable source of energy for other parts of the plant, such as the roots, that do not produce their own energy. First, honey is a whole food and sucrose is not. In other words, sucrose is an isolate – technically only one chemical compound – lifted from a background of hundreds of other components within the whole plant, whereas honey is composed of an equally complex array of compounds, many of which are well known (including macronutrients and micronutrients, enzymes, probiotics and prebiotics, etc. ), others whose role is still completely a mystery. Interestingly, if you were to isolate out the fructose from honey, and consume it in isolation in American-sized doses (over two ounces a day), it would likely contribute to over 70 fructose-induced adverse health effects; primarily insulin resistance, fatty liver, obesity, hypertension and elevated blood sugar. But place that fructose back into the complex nestled background of nutrient chemistries we call honey, and the fructose loses its monochemical malignancy to our health. Food is the ultimate delivery system for nutrition. Reduce whole foods to parts, and then concentrate and consume them excessively, and you have the recipe for a health disaster that we can see all around us today in the simultaneously overnourished/malnourished masses who still think a ‘calorie is a calorie,’ and a ‘carb is a carb,’ without realizing that the qualitative differences are so profound that one literally heals, while the other literally kills. Honey was the primary concentrated sweetener consumed by humans until after the 1800s when industrial production of sugarcane-derived sugar was initiated. While the first written reference to honey is found on a 4,000 year old Sumerian tablet,[ii] and depictions of humans seeking honey have been found in cave paintings at in Spain that are at least 8,000 years old, we can assume that our love affair with the sweet stuff graciously provided by the bee goes back much further, perhaps hundreds of thousands, if not millions of years ago. A double-blind, randomized clinical study titled, “Effect of honey versus sucrose on appetite, appetite-regulating hormones, and postmeal thermogenesis,” published in 2010 in the Journal of the American College of Nutrition, compared the effects of honey or sugar on appetite hormones (ghrelin, peptide YY) and glycemic and thermic effects after a meal, in 14 healthy, nonobese women. 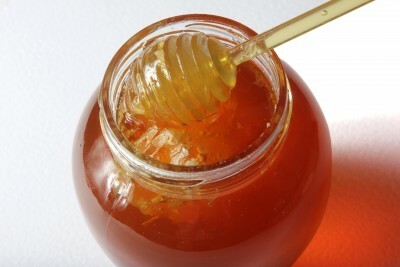 Raw honey contains enzymes and probiotics which are destroyed when heated or used in cooking applications. These compounds are of no small significance and contribute directly or indirectly to honey’s many well-known health benefits. Take the active starch-digesting enzyme amylase, for instance, found only in the raw form of honey in a form known as diastase, which is believed to contribute to clearing antigen-antibody immune complexes associated with allergies to pollens, while also reducing mast cell degranulation associated with histamine, and related inflammatory hormone, release linked to allergic symptoms. Also, if it is local honey, it will pick up small amount of local pollen which may help to “immunize,” or desensitize an overly active immune response to these environmental triggers. There is also the enzyme in raw honey known as glucose oxidase, which produces hydrogen peroxide and gluconic acid from glucose. The hydrogen peroxide formed as a result of this enzyme is associated with honey’s well-known wound sterilizing and healing properties. The probiotic-boosting properties of honey may provide an explanation for why it is such an effective anti-infection agent and has been proven to heal many gastrointestinal disorders. For a full list of honey’s medicinal properties visit our honey health benefits research page. Also, feel free to explore our article on 5 Honey Health Benefits. A full appreciation of honey inevitably leads to a full appreciation of the bee, as well as an awareness of the precarious relationship presently existing between our species. While shallow, the bee’s role in pollination has been estimated to have over several billion dollars of economic value annually. The reality is that we are far more dependent on this insect than it is on us, which is why when we use “pesticides” and various agrichemicals to radically transform the bee’s natural habitat and microbiota, or use antibiotics, feed them high fructose corn syrup, and add other various amendments in its hive, the resulting collapse of immune function, and secondary infections that emerge, we pretend are a novel new disorder whose origins are unknown, i.e. bee colony collapse disorder, much in the same way that we blanket over our own self-poisoning with various idiopathic syndromes that are actually iatrogenic or environmental in origin. Bee products, including venom, wax, propolis, royal jelly, etc., have been found to provide potential medicinal solutions for over 170 different health conditions (see Bee Products), expressing over 40 distinct beneficial pharmacological actions. This growing body of research should awaken in us greater respect for this sacred insect — even if only for selfish reasons — and when we say sacred, we mean this both entomologically and etymologically, as the word sacred means “to make holy,” and the word holy shares the same root meaning as the words whole and heal. [ii][ii] Crane E: History of honey. 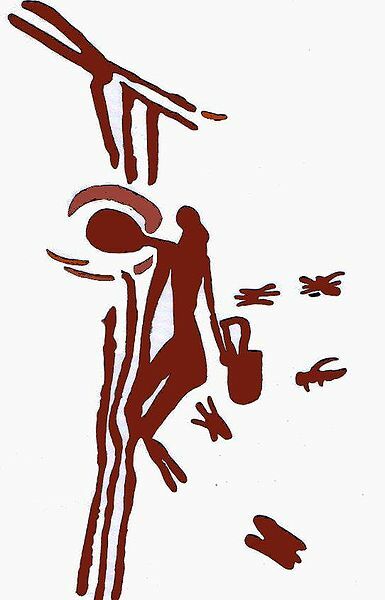 In Crane E (ed):”Honey, A Comprehensive Survey.” London: William Heinemann, pp439– 488,1975 .